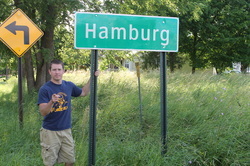 Kevin became interested in hamburgers as a boy when he began visiting burger joints with his dad. Their love for hamburgers brings the family together as they still search for the perfect hamburger. Kevin and his father frequently find themselves at Bray’s in Westland. Their philosophy is to go eat a burger after the grill has been cooking for a while (takes on a flavor). Several years ago Kevin earned his degree in tasteology from Bovine University. Since, Kevin has dedicated his appetite to the search for the ultimate burger experience. Kevin feels that there is more to eating a burger than just a tasty patty of meat on a bun with condiments, rather eating a burger is a unique experience that you can share with family and friends. An embarrassing moment in Kevin’s burger career was a few summer’s ago when he failed to man his own grill, almost causing a grease fire and was kicked off by his father-in-law. Luckily nobody was injured and the burgers turned out just fine. Recently Kevin was spotted in his hometown of St. Ignace, MI at Clyde’s Drive In. He was fully engaged in destroying a Big “C” with double cheese, mustard, ketchup, and pickle. It was quite a site to see his steering wheel covered in food. 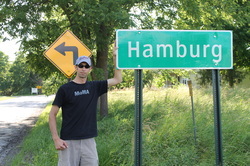 Kevin lives in Canton, MI with his family, where you can find his hometown favorite, Vinnie’s Burger Stand. Lucas had his first cheeseburger at 2 years old and he's never looked back. A natural in the triple cheeseburger scene, Lucas enjoys frequenting a wide variety of burger hotspots. 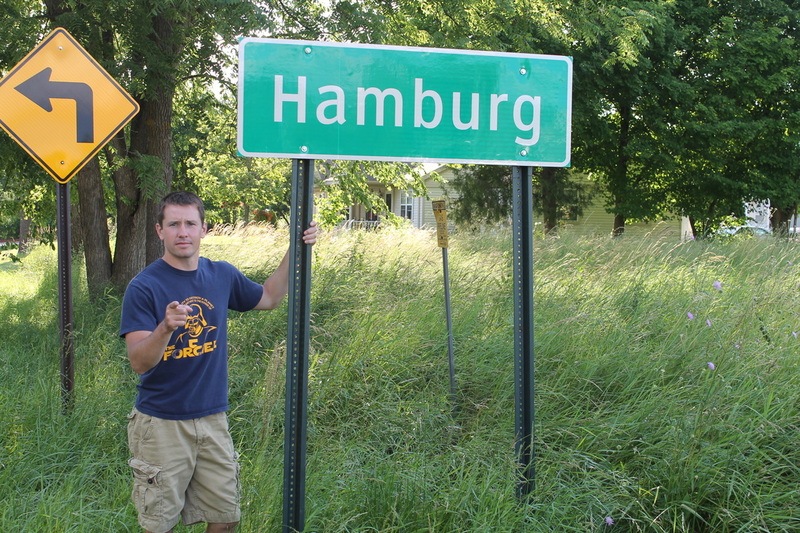 He's never been afraid to eat any burger at any location (i.e. the Shammy Burger in Jackson, MI). In his spare time, Lucas enjoys grilling creative burgers at home while hanging with his wife and two children. His wife, even though a vegetarian, is well known for preparing her Turger, a nice blend of turkey and burger meat. Lucas believes it's a little more on the she-burger side of things, but nonetheless, you've got to keep that marriage candle lit. Probably the most embarrassing moment of Lucas's burger career came at a UofM tailgate in 2010. He hosted a Walmart Wolverine Tailgate Party that consisted of everything Great Value, including the burger meat. Let's just say the grill top is still soaking in dish soap in an attempt to remove the grease. When on the burger trail, Lucas loves hitting those out-of-the-ordinary establishements and prefers to stay away from corporate flair. 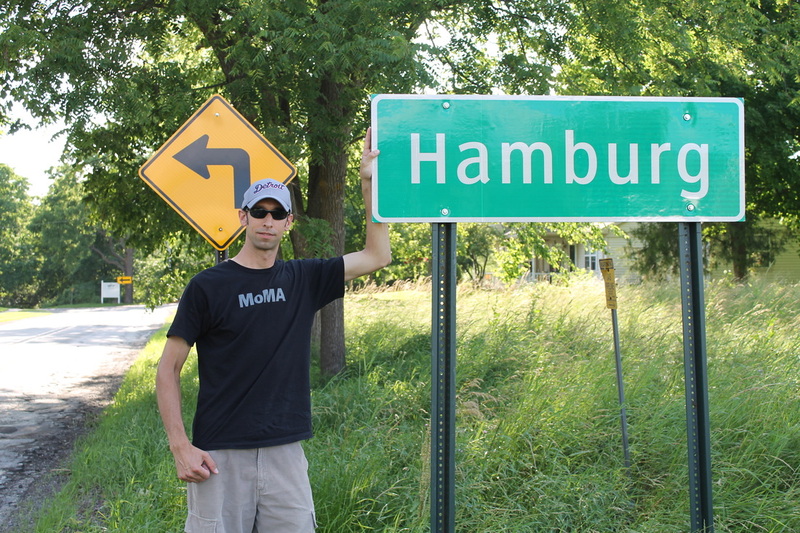 Lucas lives in Saline, MI, which is about five miles east of the Bridgewater Bank, the homebase of Michigan's Burger Boys. He'll be in your neck of the woods hitting your favorite burger joint soon.